As I prepared to write this, the final column of my two-year term as AFSA president, I reviewed all 19 columns published since I took office in July 2015. 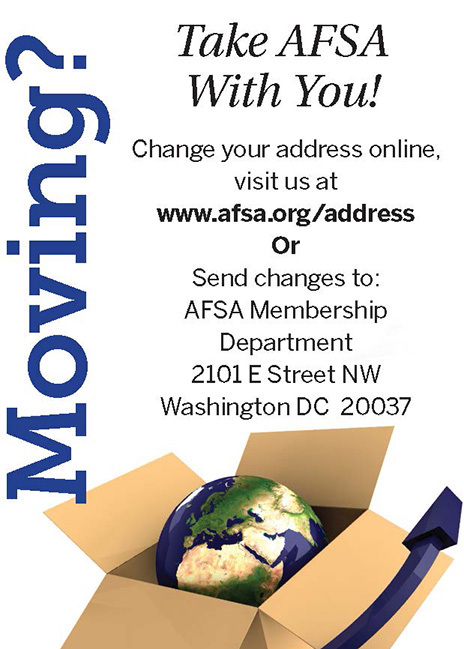 By the time you read this, the results of the elections for the 2017-2019 AFSA Governing Board and officers will have been announced, and we will know if I will be back in this space writing President’s Views columns for the next two years. I told you at the outset of my tenure that I would use this column as an accountability tool to report openly and transparently about AFSA’s goals and plans, all funded by you, the more than 16,500 members who voluntarily pay dues to run this organization so we can serve as the Voice of the Foreign Service, your voice. 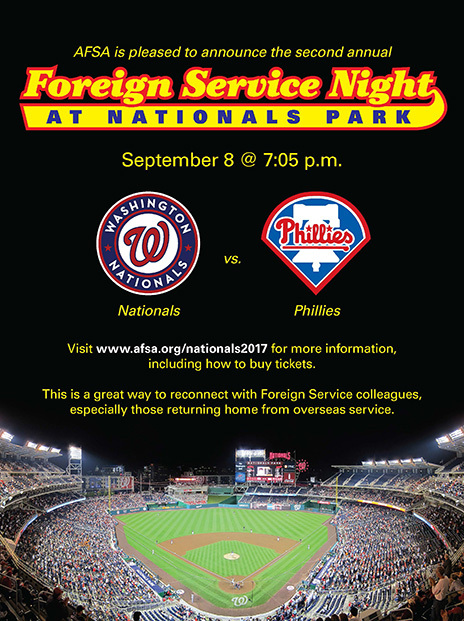 Outreach, to tell the proud story of the Foreign Service to the American people so they understand what we do and why it matters to them—and are then ready to champion our vitally important work to help make our country secure and prosperous through sustaining America’s global leadership role. Inreach, both to gain a nuanced understanding of members’ aspirations and concerns as the basis for our advocacy agenda and to reinforce among members a sophisticated understanding of the unique demands of our service so that members are themselves equipped to be effective advocates. 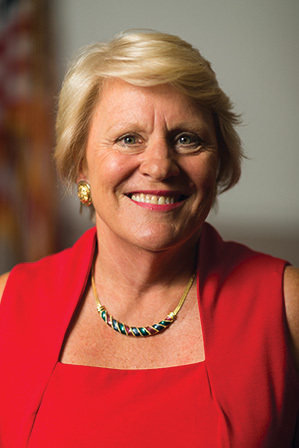 Workforce planning, the creation of staff capacity so that AFSA can fulfill its role as the Voice of the Foreign Service and generate informed arguments about what choices contribute to the long-term well-being of the Foreign Service as a vital instrument of national security and prosperity. I am pleased to report that we have made enormous progress in all three areas, and I invite—indeed encourage—you to read AFSA’s annual report for further details about the work we have undertaken on your behalf. As we face a proposed 30 percent cut to the foreign affairs budget, along with a major reorganization, I am, while profoundly unsettled about what all this means for America’s global leadership, equally grateful that we at AFSA had the foresight to prepare and mount a credible defense of the Foreign Service as both indispensable to global leadership and the most cost-effective tool in the national security toolkit. I am more convinced than ever of the vital role the Foreign Service plays in sustaining America’s global leadership role—a role supported by nine in 10 of our fellow Americans. So are other leading voices—from our country’s most respected generals and admirals to business and religious leaders, as well as many members of Congress from both sides of the aisle. Make no mistake about it: what you do matters. In addition to being effective and informed advocates for the Foreign Service, I want to ask you to double down on doing your jobs. For the two-thirds of you who are deployed abroad representing our great nation at 270 American diplomatic posts around the world, please keep our flag flying proudly. Reinforce patterns of cooperation. Encourage partners in your host country to continue to look to the American embassy for leadership and problem solving. Double down on your contact work. Keep information channels flowing and patterns of security cooperation robust. Pay into the bilateral relationship, building up the metaphorical bank account by reminding your host country what they love about America, whether that’s astronauts or jazz, and of the ties that bind us, whether of shared sacrifice or kinship or history. And take care of each other. Remember: America’s global leadership role rests in large measure on your shoulders.